RAZBAM’s AV-8B Night Attack Harrier module took a step forward last week with a visual refresh of the modules cockpit and I think it looks really good. Let’s have a look at it. The new cockpit holds up well in light and shadow and the darker parts are still somewhat visible. 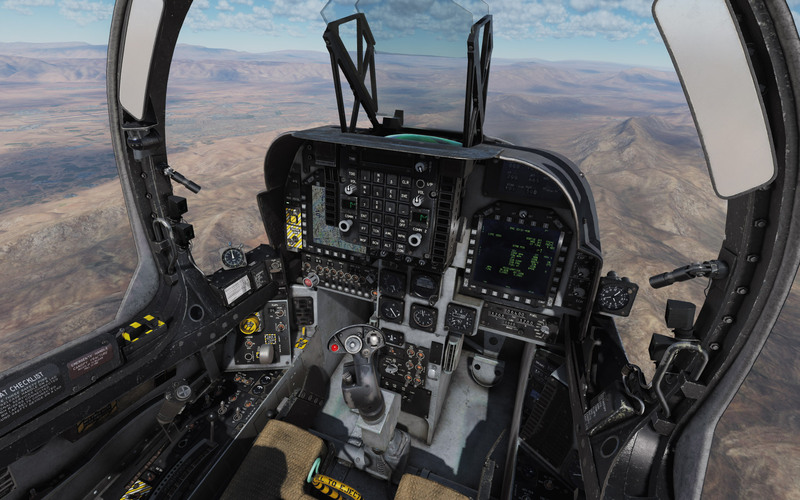 RAZBAM has been working on upgrading their texturing and art process. That process now includes using laser scanning to get even more detail out of objects and that helps amp up the realism with realistic wear patterns baked into the textures. It’s similar to what Heatblur has done with the F-14 Tomcat and the effect helps make the aircraft a little more lived in. Some may argue that they went too far but I actually like this look with the AV-8B. These texture updates along with some recent revisions to the cockpit that increase the base ambient lighting make things easier to see in the cockpit in general – being a little too dark in most cases. 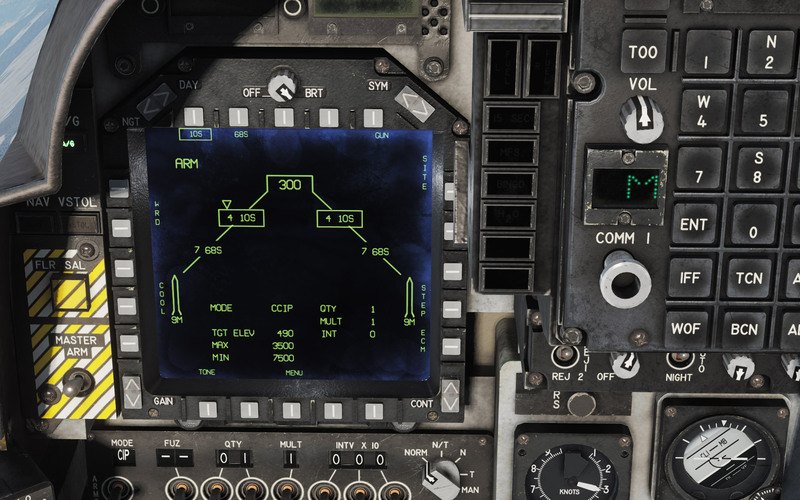 They have added smudges to the MFD displays as well which tries to match similar details on the Hornet and Tomcat’s displays. The MDF smudge and backlighting effect may be a little overdone. The effect I think goes a little too far and overdoes the effect in certain lighting. That said, a quick fix on this would make it perfect (in my humble opinion) and I really think this all together adds a really nice layer of polish. This really shows off the new cockpit looking more cohesive than ever. This is the second cockpit in RAZBAM’s line-up to receive this improved process (the MiG-19 was the first) and that leaves just one remaining. The M-2000C will be next in line to receive their improved process and I’m very excited to see that. I agree with you that some of the weathering effects are a bit overdone, but the new switch animations and the overall quality of the cockpit is very good and increases a lot the immersion while flying the jet. By night all the lights and panels are sharper and it is a joy to fly the bird on its natural environment. Kudos to the designers to finally blocking the external lights into the cockpit with the new textures. Little by little, RAZBAM is earning my trust once again. Agreed! 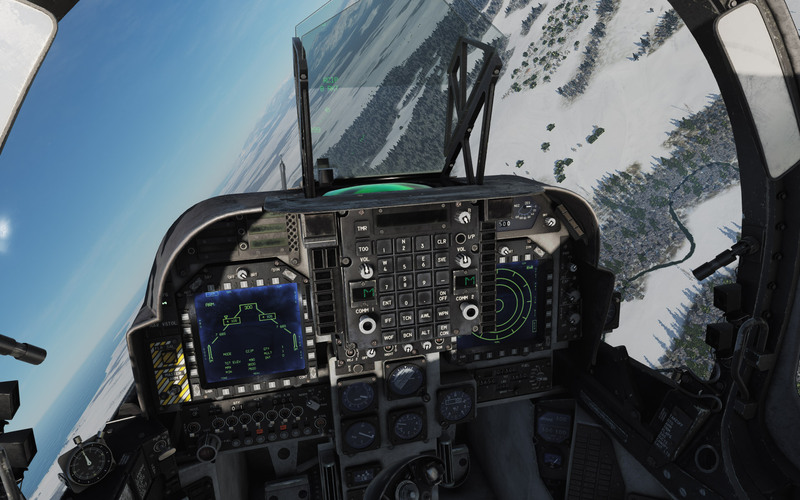 The overall impression I have right now is that RAZBAM is righting some wrongs and they have really stepped up their game. The AV-8B cockpit looks the best it’s ever looked and slowly but surely its functionality is being worked on again too. Honestly, next to the Hornet, the Harrier is my most flown aircraft and I really have a lot of fun with it. I’ll be nice to see it reach its completed stage. I think that will help earn trust for a lot of people. Hey! That’d be great to do. My time has been so sporadic recently but I hope things will settle down soon. I fly a lot on Georgia at War and I just tested their new Persian Gulf at War. I’d love to fly some team tactics with the AV-8B on a strike op on there. I’m up to that as well. I’m usually flying blueflag for the pvp, but GAW is fun as well. I have to visit it again!